References GR_Graphics::DGP_OPAQUEOVERLAY, GR_Graphics::DGP_PAPER, GR_Graphics::DGP_SCREEN, and UT_ASSERT_NOT_REACHED. This number is the ratio of the screen resolution to the printer resolution. 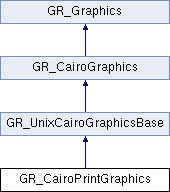 It is vital that the method that creates CairoPrintGraphics set this value. Otherwise printing of Maths will look weird. Referenced by endPrint(), and startPage(). Referenced by getResolutionRatio(), and setResolutionRatio().